I met Katie and Jonathan for the first time two weeks ago at Stauf’s Coffee Roasters in Grandview for a wedding consultation and I could have sworn I’ve known them for years. They are just one of those couples I instantly connected with and knew if they chose to hire me it would never feel like work. I did a little happy dance that night when I got the sweetest text from Katie telling me they wanted to book. 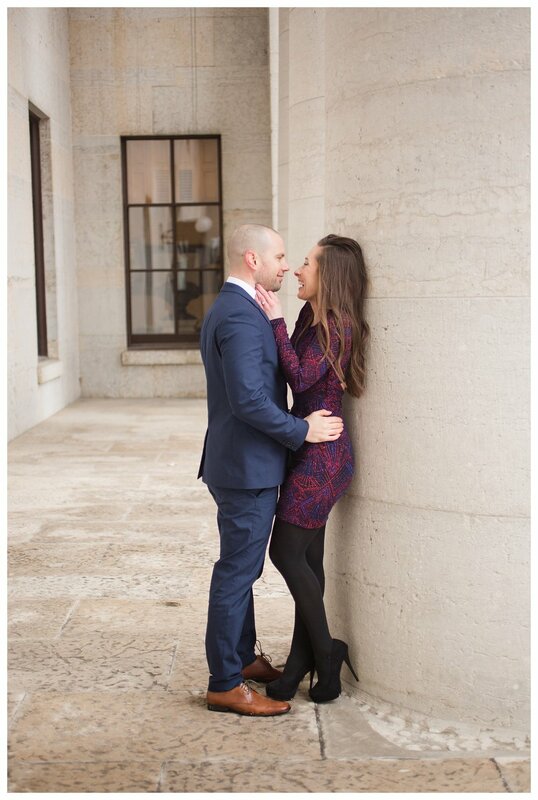 These two are so much fun and truly the sweetest couple! Katie is a nurse who exclusively cares for breast cancer patients and Jonathan owns his own business that cares for people with disabilities. If those career paths aren’t a testament to their character I don’t know what is. I loved hearing all about their engagement story because Jonathan was so sneaky about surprising Katie. They had picked out the stones and ring design nearly a year earlier together, but Katie never saw the finished product. Jonathan waited until the week before Christmas to make his move. They were celebrating just the two of them at home and exchanging gifts. Katie admits that she was hoping/expecting to get the ring that night, but all she opened was, “a sweater and other boring things,” much to her disappointment. The next night they were hanging out on the sofa watching Netflix when Jonathan told Katie that he forgot to give her one last present and that he left it on the tree. Katie focused in on the ring quickly and was completely surprised as he got down on one knee! They wasted no time in the planning process and already have a Christmas wedding booked at Pinnacle Golf Club. I can’t wait to be a part of it! 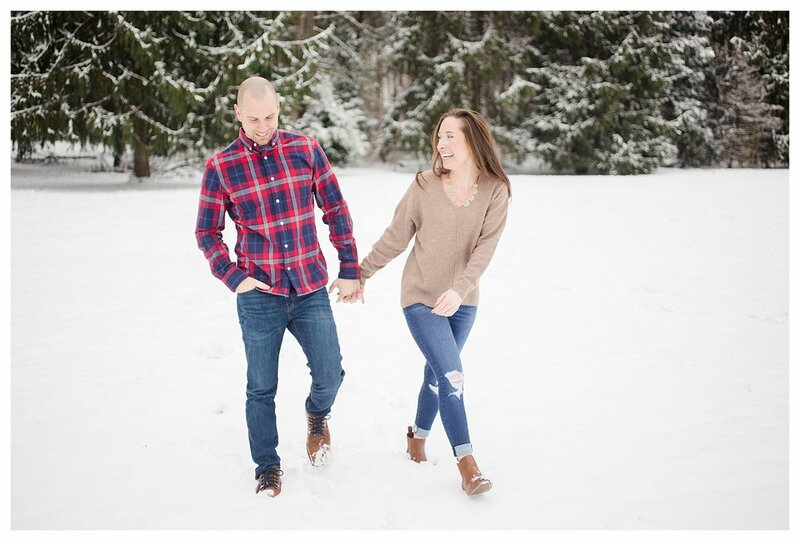 Katie had her heart set on a snowy engagement session and we decided to just keep an eye on the forecast and choose a date based on the weather. Literally the weekend after our meeting we had the most beautiful snow fall cover Columbus so we jumped on the opportunity. These two were troopers (especially Katie in her dress!) during their winter engagement session. There was lots of cuddling to keep warm (between Katie and Jon!) and I loved it. We started the session at the Ohio Statehouse, which is always a favorite spot of mine regardless of the weather. It offers a classic backdrop that I could never tire of. It was extra beautiful with the white snow covering everything. We then headed over to Bexley to take photos behind Jeffrey Mansion where we found a real life winter wonderland. The trees were absolutely stunning and if it wasn’t for the cold we would have never stopped taking photos.